We support and encourage work sites to implement changes that will create a healthier work environment. Work Well/Live Well is affiliated with Work Well Kansas — a statewide worksite initiative that provides leadership and resources for businesses and organizations to support worksite health. ​Consider WorkWell KS and/or CDC Work Place Health Promotion programs as resources. Form a wellness committee with representatives from each department and shift, if applicable. Contact the employer's insurance provider - identify worksite wellness programs, preventative and disease management services included in your policy. 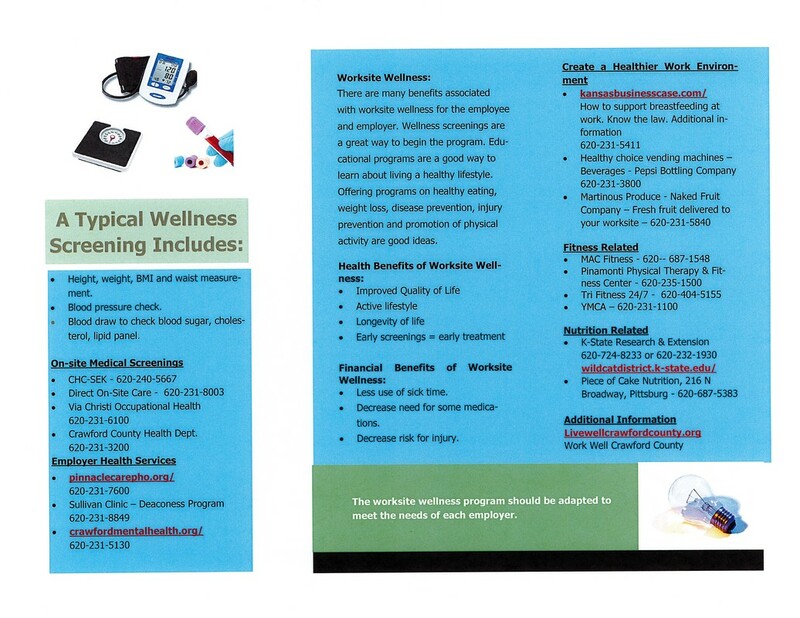 Your insurance provider may offer on-site health and wellness education, tobacco cessation, employee fitness center discounts, and many other services. Administer an employee interest survey. Develop communication strategies to engage employees in health and wellness activities. Perform annual wellness screenings that include mental and physical health. Promote policies towards tobacco cessation, physical activity, nutritious foods and stress reduction. Identify and establish changes in the workplace environment that will promote tobacco cessation, physical activity, access to nutritious foods, and stress reduction. Identify and establish incentives that promote employee engagement in health and wellness activities and programs. Initiate workplace health and wellness activities and programs. Reevaluate worksite wellness plans and procedures at least annually. ​Your employee group health insurance provider may have multiple services and programs which promote health & wellness. 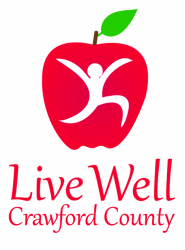 ​DISCLAIMER​: This list is updated periodically, but it may not be reflective of all worksite wellness related health and wellness programs in Crawford County. Please contact 620-231-3200 if your organization would like to be included or removed from the worksite wellness toolkit/guide. 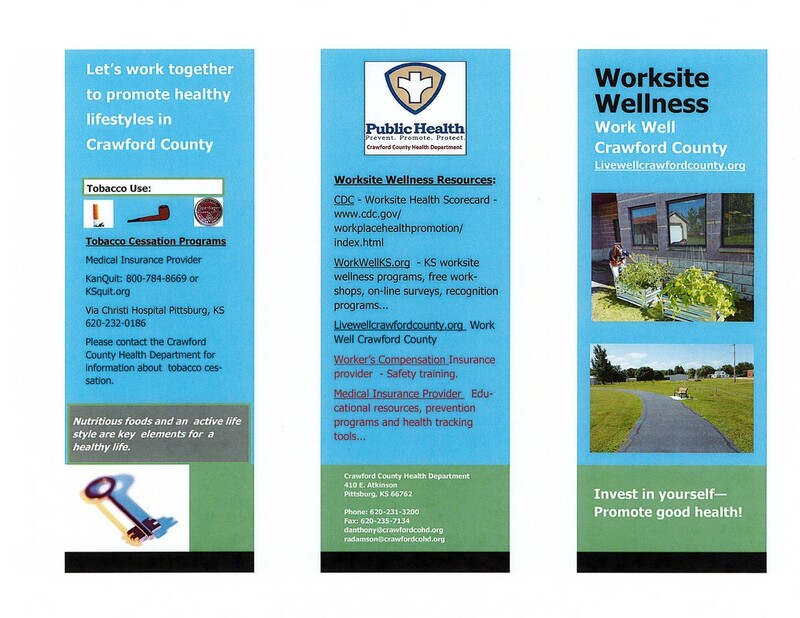 The information is meant to serve as a resource for employees & employers in Crawford County.